I try and keep a few great instruments in stock for new students or other people learning to play This includes both beginner instruments, step up an some fine instruments. I want my students to have an instrument that encourages them and motivates them. I only offer guitars that play perfectly and sound great. I will also help students select instruments available on Amazon or other sources. Yamaha CG110. Excellent condition solid top classical guitar. Plays perfect, excellent sound. $175. Yamaha Solid Top CES 150 Cutaway. Great instrument with a solid top, great sound. Acoustic Pickup. $375 Great condition. Pictures to follow. 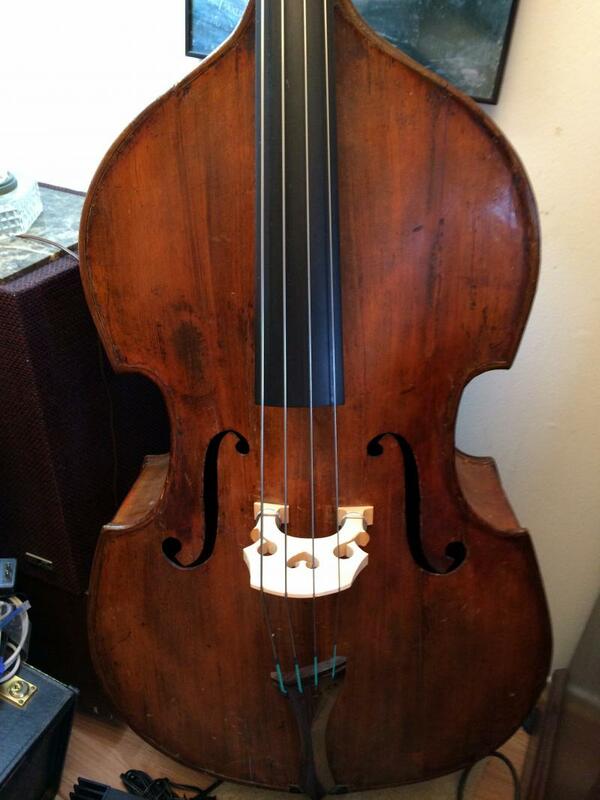 I have a 120 Year old German Upright bass for sale. Obviously this will go to an experienced bass player. It is fully carved of all solid woods. I offer trial periods on all my instruments, my motto is you have to love an instrument to keep it. I have 100% customer satisfaction on EBAY since 2004 and never had an instrument returned. I will buy used Yamaha guitars that I inspect and have perfect neck angles that I can resell to new students, so they have to be priced accordingly.